I realized today that I'm not going to be able to use all of the berries I picked before they go bad. The main reason I won't be able to use them up right away is that I haven't decided exactly what I want to do with them. Making jam is an option and so is a berry pie, but I just haven't made up my mind. To save my berries for future use, I froze them! You could just wash them, stick them in a container, plop it in the freezer and leave it at that, BUT that will give you a solid frozen rock of berries. You will have a hard time later separating that block to measure your berries or fitting it all into your blender (or whatever). The method outlined below should give you mostly individual, frozen berries that will be easy to divide, sort, and measure later. 1. Wash/Rinse your berries. Remove stems, leaves, dirt, and undesirable berries. 2. Drain as much water as possible. You may want to use a colander. Excess water will cause the berries to clump, making them difficult to use later. 4. Place the cookie sheet in the freezer. 5. 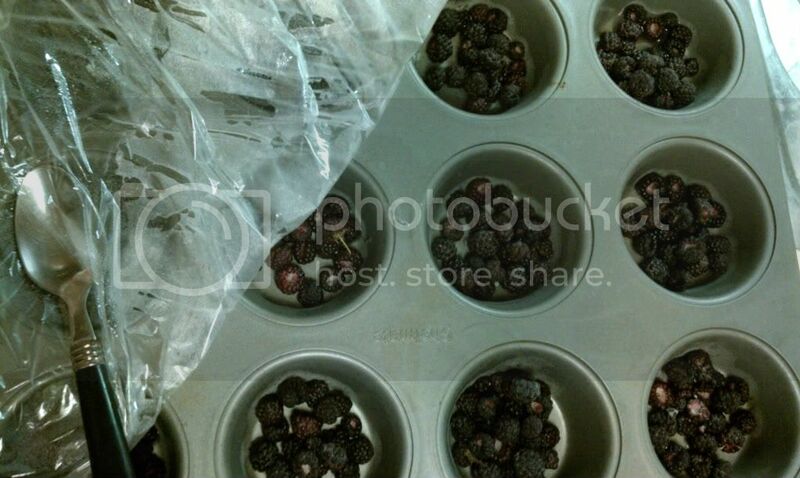 When the berries are frozen, remove the cookie sheet and place all the berries into a freezer-safe storage container. To avoid freezer burn, allow as little extra air in with the berries as possible. Freezer bags are good for this purpose. 6. Place in your freezer to enjoy later! Because the berries are frozen first on the cookie sheet, they will not clump together when combined for long-term storage. Now if you want to eat just a few berries, or need a 1/2 cup for a smoothie, you'll easily be able to get exactly how many berries you need. This method will get you similar results to the bags of individually frozen berries sold at the grocery store, but at a fraction of the cost!